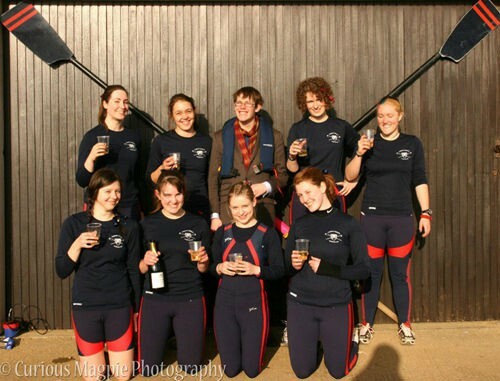 Eight members of the women’s Corpus Christi College Boat Club are preparing to row from Oxford to London over four days this summer, to raise money for the charity Beat. Beat works to raise awareness of eating disorders, providing essential and often lifesaving support and advice to sufferers, their families and their friends. These brave Oxford students are set to row the 180km distance over the 23rd-26th June are the very first female crew to take on this challenge! As many of you will know from my previous posts, I suffered from anorexia throughout my teens, so the cause these inspiring young rowers are supporting is very close to my own heart. I had the pleasure of speaking to the crew, to find out all about their love for rowing, their personal links to the cause, their top training tips and their own advice to those suffering or in recovery from an eating disorder. Rowing has always been a popular British sport, but it’s been fantastic to see it get so much extra exposure through the Olympics. What inspired you to start? I was a bit of a gym freak before I came to uni, and I figured I couldn’t come to Oxford and not at least give rowing a try! Turned out I absolutely loved it! I’ve been pressured to take up coxing instead of rowing on more than one occasion due to being a midget (5ft2) but have pushed myself to challenge the rowing stereotype. Having rowed for a year when the Olympics came around I was glued to the TV every time they returned to Eton Dorney – the exposure for our sport was phenomenal and I loved cheering the athletes on from my living room – particularly the lightweights, who reassured me that you don’t have to be 6ft tall and stocky to row! To be honest, although I followed the Olympics and really enjoyed the rowing (which you don’t often get a chance to see on TV), it was starting university which really got me interested in the sport. We had a couple of taster sessions and after that I was pretty hooked. I’d never been good at Sport at school (at all!) so it was fantastic to try something and find it was something that I could do to keep fit, make really good friends, and keep really fit which I was actually good at! Generally in school sports if you’re tall (I’m 6ft) you just get chucked in Goal Keeper for Netball and forgotten about… But in rowing that was an asset! The main thing though was that I made fantastic friends and felt a part of something. The crew all works together in a way very different from other team sports, I think. You have to anticipate how the person in front of you will move, and when, and if they’re going wrong, to some extent it doesn’t matter – you follow them regardless because the crew’s stronger and more powerful that way. You get to be very close. Both my parents rowed at university; in fact they met through their college rowing club. They both encouraged me to give it a go and I decided to try rowing in Fresher’s Week at university and was immediately hooked! I only started rowing this year, after a few of my friends – also on the crew for the Oxford-London row – had already been rowing for a year. I’m not entirely sure why I started, as I’d spent a year watching them getting up horrendously early and daubing surgical spirit onto blistered hands – clearly I’m a bit of a masochist! I did also see the closeness between the team members, and this has rung true: we push ourselves through complete pain in the boat and during training, and the rest of the team is always there to support each other every step and every stroke of the way. I used to do swimming and athletics to national level, but that became increasingly difficult to maintain alongside my studies. In the sixth form, I looked for something new: rowing appealed to me because it is a team sport (and so a total contrast to what I had previously done) and because there is a beautiful stretch of river and a fantastic club (Wallingford) about 10 minutes from where I live. Once I started I was hooked: it’s a great way to meet friends and forces you to stay very fit! I was never sporty at school, but when I got to Oxford I decided to have a go at the typical Oxford sport to see what the fuss was about… that was 6 and a half years ago and I’m still at it! I started after the Beijing 2008 Olympics, because I realised while watching it that I needed a new hobby. Went through the list of exciting sports I could try out, looked up my local rowing club, and haven’t looked back! Muscular endurance is key to your sport. Aside from the rowing itself, what’s your number one exercise to build the required strength and/or endurance? Esther: Squat jumps on repeat! As a squad we are big fans (?) of circuit training to build muscular strength and cardiovascular endurance. As the smallest member I have to work extra hard to make my weight:power ratio compete with the other rowers’ absolute power, so squats, lunges and watt bike sessions are particularly important to build up my quads. I’m also a big fan of running as it means I can take on the rest of the crew without scaling anything based on size. Cora: We tend to erg a lot (rowing on land using the rowing machines). It’s hell, but it does the trick. Aside from that, I’d say squat jumps. We do jump circuits once or twice a week, and tend to alternate squat jumps with the other exercises. A common misconception about rowing is that your arms are particularly important, and you often see people on the ergometers (indoor rowing machines) trying to row with bent arms or little power in their legs, but it’s thigh-strengthening exercises which are particularly useful. Maria: The exercise I find most helpful is doing 10km ergs on the rowing machines, despite the pain of the final 2000m! Francesca: As we’ve found out to our cost this year, actual river time is at the mercy of the elements: because it has rained so much this year, we’ve only been able to row for a few weeks since September. One result of this is that we’ve had quite a varied cross-training schedule, not just hours spent on the rowing machine, but also runs, circuit training, and even Zumba. I’ve also been doing water polo with the university team, which is pretty much entirely different from rowing, but is great fun, and means, like rowing, that you have to keep totally focused while physically putting in complete effort all through the game. Olivia: Running: I used to hate it, but then I realised that the pain probably meant it was good for me. I also really like the fact that there’s no faff: you can just run straight from home, come back and get on with the day. This squad has tried everything from Zumba to African Drumming (yes, really): variety is good! Ele: I used to play rugby for the university alongside rowing, obviously this was great for strength building! I gave that up a few years ago and started Shorinji Kempo (a martial art). So now you’ll find me in a dojo twice a week hitting things and throwing people around. It’s a great way to work on strength, balance and flexibility! Chloe: Not sure how much it benefits the actual rowing in anything but fitness, but in recent months I’ve really got into running long distances (possibly due to Oxford being flatter than Yorkshire!). There are such an overwhelming number of wonderful charities it can be difficult to choose which ones to support. Why are Beat particularly close to you heart? Esther: I’m a Young Ambassador for Beat, as although I am fully recovered now I suffered badly from anorexia in my teens, and was hospitalised for 9 months. I vowed to myself when I left the hospital that if I could use my experiences to help just one person then it would make it worth it. Through Beat I have spoken at conferences, visited inpatients, given various media interviews etc. This row is my latest (crazy?) project to fundraise for Beat and raise awareness of the unspoken prevalence of eating disorders. Cora: I personally have known a number of people (some of them close friends) who have suffered from eating disorders and know that (particularly in high pressure environments like university) such issues are not as rare as people often think. It’s a very serious issue and one which needs to be addressed. What we’re trying to show is that you can be healthy, strong and confident through exercise, and that there are others out there who can support you, even if it’s just by doing a crazy torture-row to London. Eating disorders can make you feel so out of control and uncomfortable in your own skin, which no-one should have to feel. Rowing has made me feel considerably happier in myself and alleviated work-related stress as well as providing a strong support network. That’s really one of the positive messages I want to put across with this. Apart from anything else, we’ll be in onesies for days – go figure! Maria: Beat is a particularly significant charity to me because they helped one of my best friends to recover from a severe eating disorder. Hearing her account of how they supported her then, and how she is able to help others now made me realise how important the work that Beat does is. Francesca: Obviously, knowing Esther’s story of recovery with help from Beat has inspired us as a team to a great degree. In addition, my own sister struggled for years with her eating disorders, so I have personal experience of the pain eating disorders can cause to the sufferer and also to the people closest to them; watching my sister fight her ED means I have not been shielded from the real difficulties sufferers face – not just in their minds, but also from the stigma society holds against them – and has also given me extra determination to meet the challenges posed by this row: every painful training session seems worth it if it can help to fight for better treatment for sufferers of EDs. Olivia: A friend of mine at school was helped out by Beat and so I’m partly doing it for her. More generally, I think that the fact that the row is being undertaken by a group of girls of different sizes, ages and backgrounds sends out a really positive and inspiring message. Ele: I’ve done various sporting events over the past few years for charity, and they’ve always had a link to someone I’ve known. I have several friends that have or have had issues with eating disorders and I’ve seen how hard it is to break out of them. Beat does such good work with sufferers so it’s a great charity to support. Chloe: I used to dance a lot, and at my dance school I met someone who had an eating disorder on and off for a number of years. I know she had a lot of support from Beat, and the difference they made in her life was significant, so it feels good to support them back. The daughter of a friend of my mother’s has anorexia and my dad cycled several hundred miles in Chile to raise money for eating disorder awareness. Doing this challenge for Beat is my own opportunity to support the cause. Recovering from an eating disorder is unbelievably traumatic, but also an incredible learning experience. What is the one piece of advice or wisdom you would give yourself now if you turned back the clock? Esther: Surprisingly, I don’t regret my experience even though it was horrendous at the time – it has made me much more able to empathise with, and hopefully help, other people, and has taught me various life lessons! However, if I could give the former me one piece of advice it would be that the present moment doesn’t constitute a life time. Although it feels like that depressive mind set will last forever, it does eventually subside with the right help. If you have your own experiences and advice around eating disorders that you feel able to share, or have been helped by the wonderful folk at Beat, I would absolutely love to hear from you in the comments section below! TrainWithCharli CCCBCforBeat glad that you guys are tackling eating disorder we need more awareness on this. TrainWithCharli CCCBCforBeat beatED great read!